#NFStrong events take place in communities nationwide. 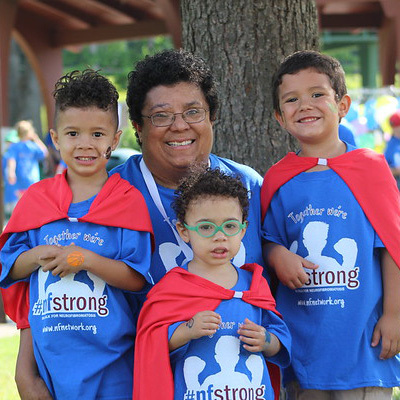 These inspiring events create strong bonds that build a supportive NF community. The goal of these strong communities is to rally together and become one great voice in finding effective treatments and an eventual cure for NF. The events are a great way to involve family and friends, meet others who are affected by NF, while raising awareness of this disorder and to create funding for NF research.Take your first strong stride towards a cure by finding, registering, and then fundraising for an event near you! #NFStrong events are an excellent way to build a local NF community, raise money to fund research and to spread NF awareness. We’re always looking for individuals who share our passion and would like to get involved to do more to help organize events like walks, runs, golf tournaments, food events, concerts, or galas. Virtually any hobby or interest you share with others can be turned into a fundraising event, and we can help you do it! If you are looking to host your own #NFStrong event, call or email our event coordinator, Breanna Bronowski-Stutsman.